TWINKIDS is the electronic pop project of pianist-producer Matt Young and Tokyo-native singer-songwriter Gene Fukui. After meeting at Oberlin College & Conservatory in northeast Ohio - the same rural campus that spawned the likes of Teengirl Fantasy, Yeah Yeah Yeahs, and Liz Phair - the two quickly discovered a mutual reverence for electronic music and began writing, producing, and performing as one. They went on to study at the renowned Banff Centre in Canada under Brendan Canning of Broken Social Scene. 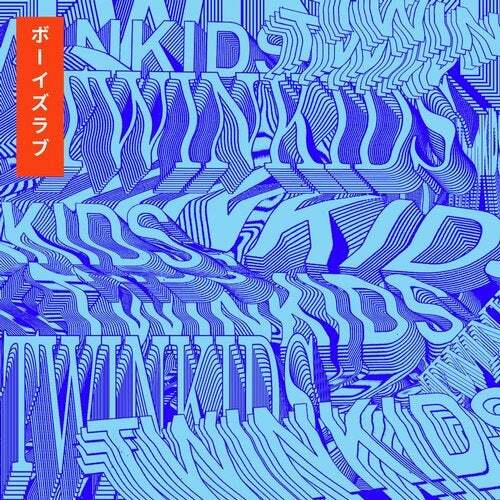 TWINKIDS bring together Gene's experience as a J-pop songwriter and Matt's background in classical piano, delivering genre-bending tunes with catchy hooks and lush harmonies. Following releases on Cascine, Yellow Year Records, a collaboration with Australian singer-songwriter Sophie Lowe, and official remixes for Dawn Richard and Ghostly International, the LA-based duo has garnered support from Rolling Stone, The Fader, Stereogum, Sirius XM, & The Burning Ear. TWINKIDS' debut EP "Boys Love" comes out later this year, with the EP title paying homage to the gay romance manga genre of the same name. Drawing influence from 80's J-pop and artists like Imogen Heap and Bonobo, the EP's five songs tell coming-of-age stories about falling in love.